We have been through a few versions of our original name created back in 2009, Talon Performance Training & Rehabilitation. Those names have included CrossFit Talon, as well as Talon School of Fitness. We have learned a lot over the years, and one of the biggest lessons learned was that the “one size fits all” approach to fitness is not the appropriate solution for individuals that have “holes” in their fitness (and we ALL have holes in our fitness...as Rich Froning doesn't train at our gym;). Each individual client is at a different place in their fitness journey. These differences require attention that our previous class model didn’t allow, which has created much frustration for us as health and fitness providers. Over these years, we have worked very hard to provide our members the best service, programming and coaching, but with each passing year, more frustration occurred. In 2015, we began to implement a system that provided an improved relationship between coach and client so that there would be strategies developed and implemented during the one-on-one sessions to improve in the areas of health that needed attention. As this hybrid system of classes and personal training sessions unfolded, we began to recognize that clients were still falling short of their fitness goals. No matter the variety of reasons for these short comings, we began to recognize that we were not meeting our clients where they were at, at that particular moment in their journey for better health. 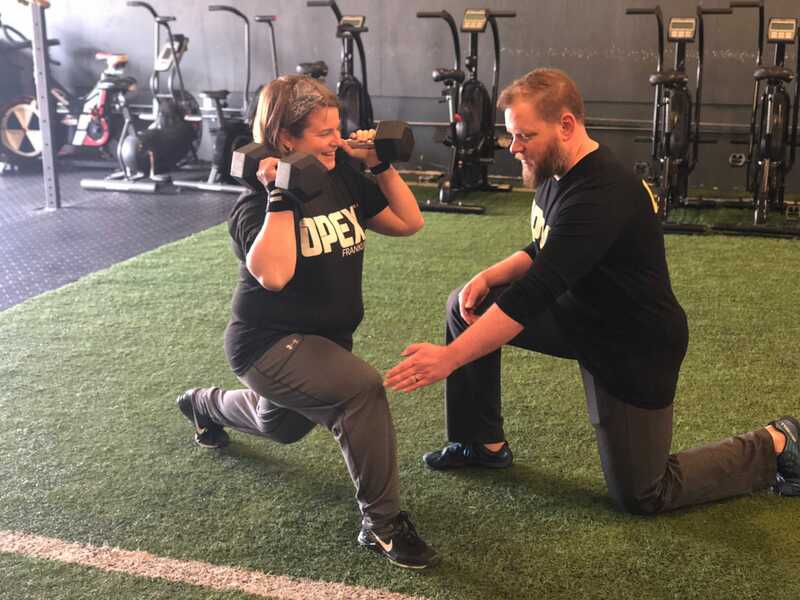 In 2016, Owner/Head Coach Dennis Cheatham enrolled in the OPEX CCP course and learned of a system that allows a coach to meet the client where they are in their journey of fitness, whether they are a beginner or elite. Upon completion of this course, he began to implement this system with a few members that the current class model was not working for. We noticed quickly that these clients were more successful in all areas that they were wanting to focus upon, whether it be nutrition, lifestyle, strength, conditioning, the sport of CrossFit, or just to have a more balanced and healthy life. Over a period of 6 months, we transitioned many more individuals over to the new system, with the same result. The progress of all of these members has led to more fulfillment from both the members and the coaches. After many months in thought, discussion, and prayer, we decided to fully transition our focus on the development of our OPEX (individual design) model in April of 2018. What we have re-experienced by working with OPEX is that fitness is an evolving journey. It is an exploration of the connection between mind, body, and spirit while attempting to discover physical potential. What this two-year journey of CCP L1, weekly coaching and business mentoring calls has led to is a re-discovery of purpose and longevity in the areas of fitness, education and business. 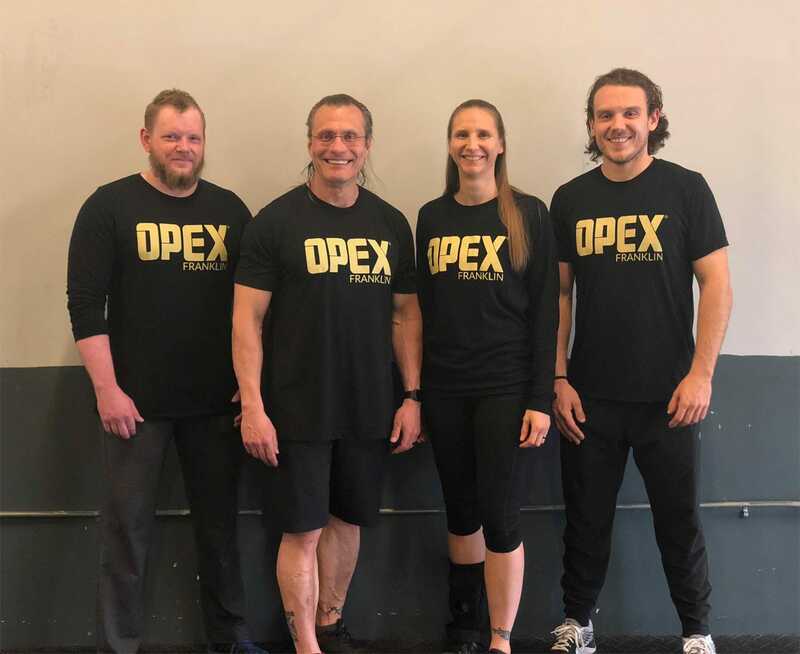 Our commitment to continual education and the passion for sharing that knowledge ensures that we will continue to provide the finest experience possible in your pursuit of fitness known as the OPEX Experience, at OPEX Franklin.